Bonnard’s use of colour combined with his unusual compositions which were influenced by Japanese graphic art have had an enduring fascination for me. 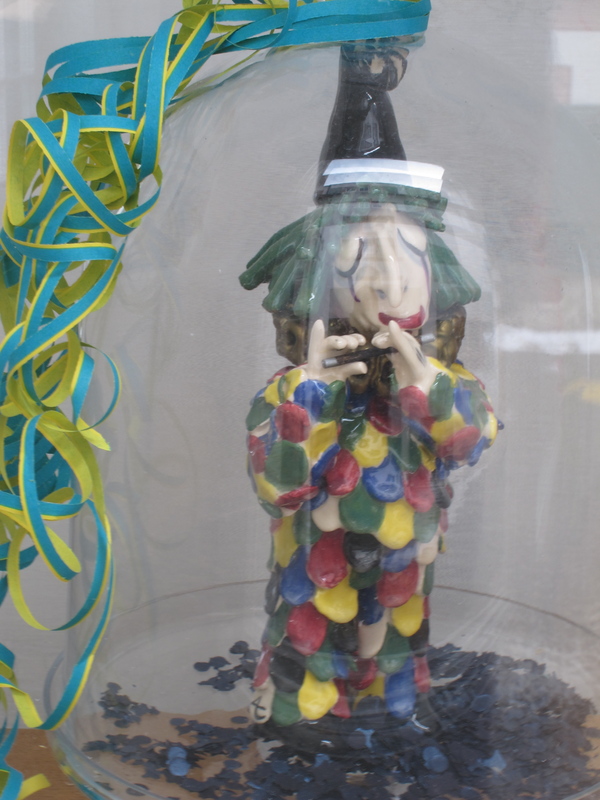 Signs of the forthcoming carnival called Basler’s Fasnacht were evident everywhere. 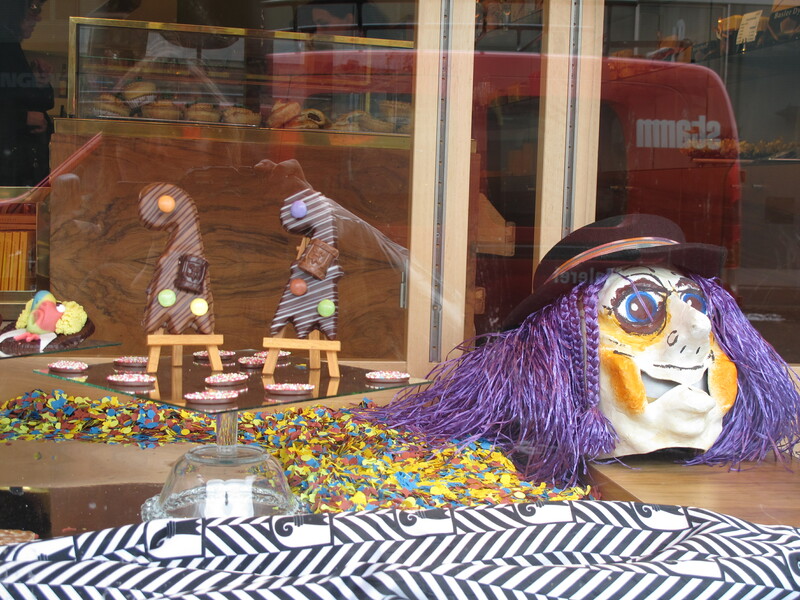 Shop and window displays with a Fasnacht theme. 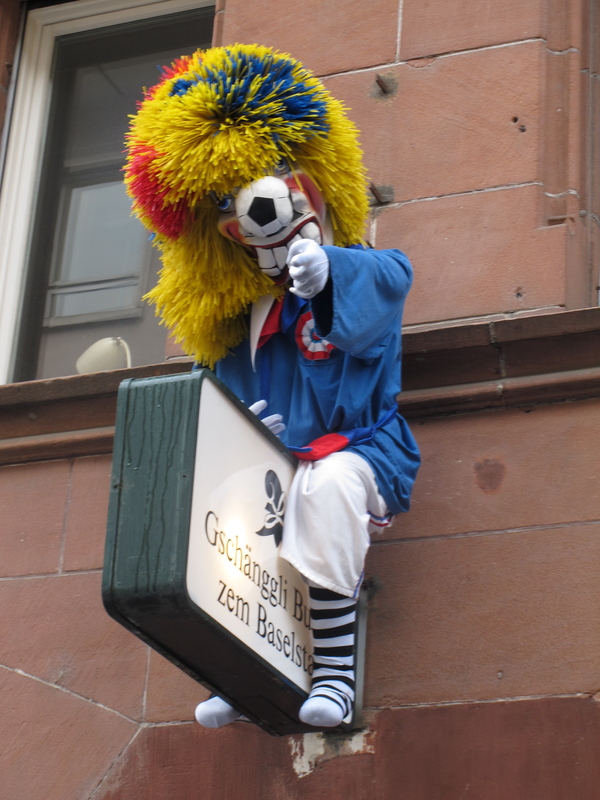 And finally a huge very traditional Carnival figure, a “Waggis” perched on the outside of a building. 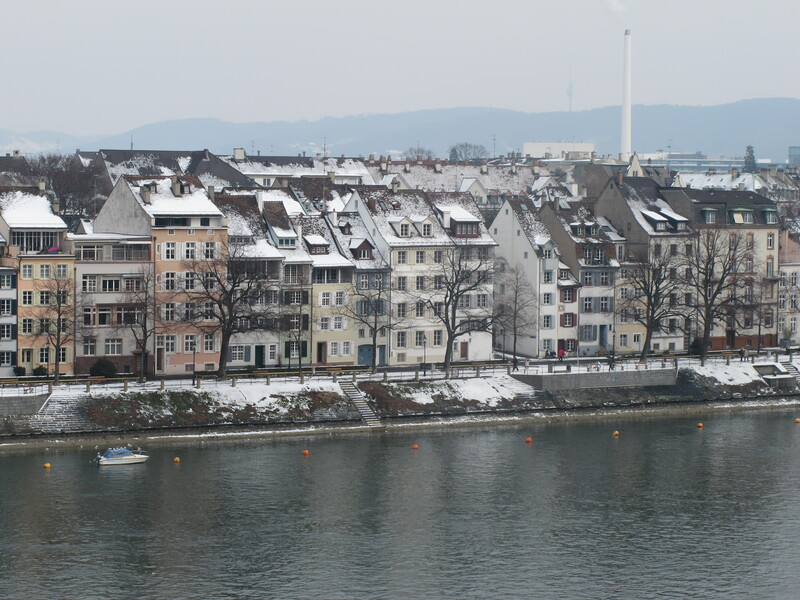 On a flying visit to Basel in Switzerland last week to see my parents and family. The city was still quite wintery and covered in snow. 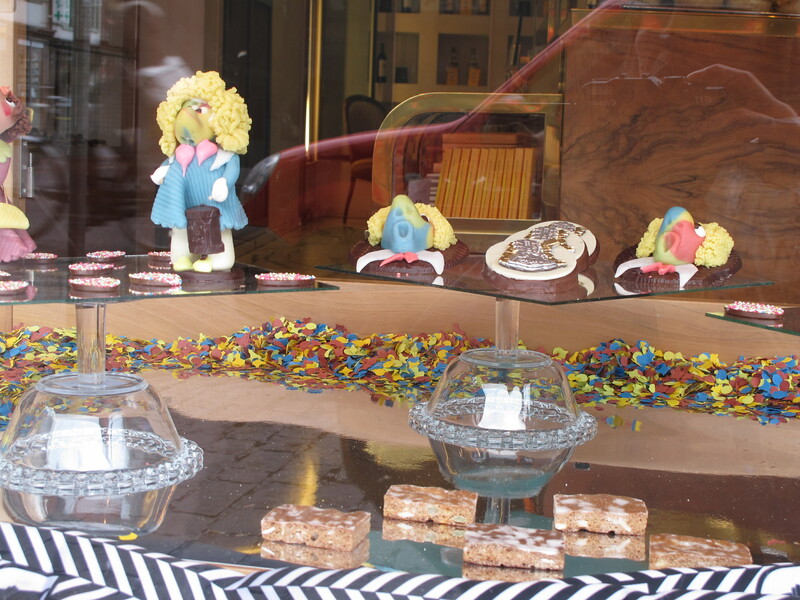 Basel is a city that most tourists pass on their way to the mountains. 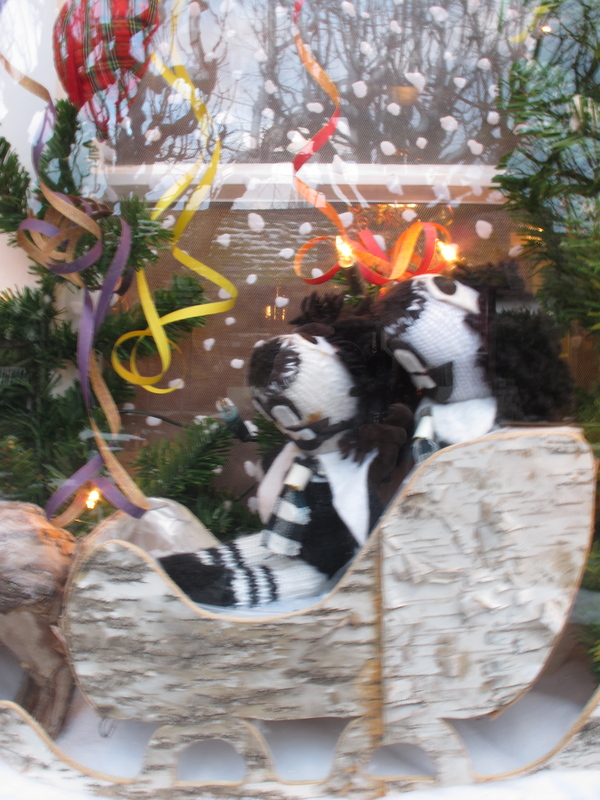 However, it is well worth a visit with its numerous museums, a very well preserved old town and a rich cultural life. 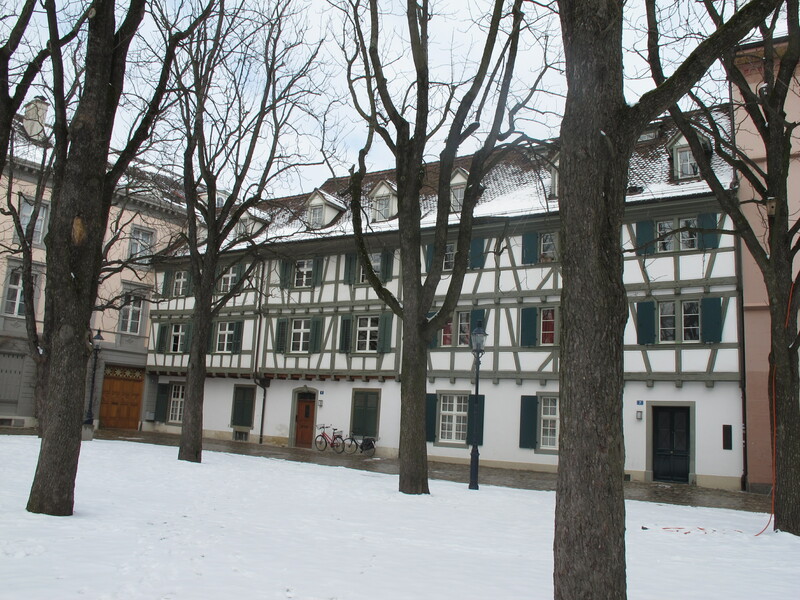 Above is a corner of the old Munsterplatz and below a view over the Rhine. 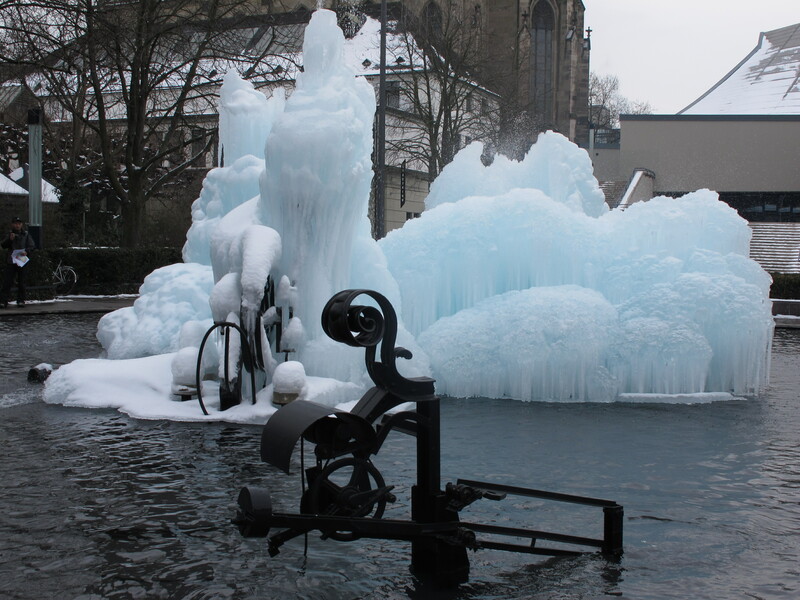 The Tinguely fountain outside the new theatre is constructed from parts rescued from the old theatre. Jean Tinguely was a Swiss painter and sculptor best known for his sculptural machines. This is the first time I have seen it frozen over.